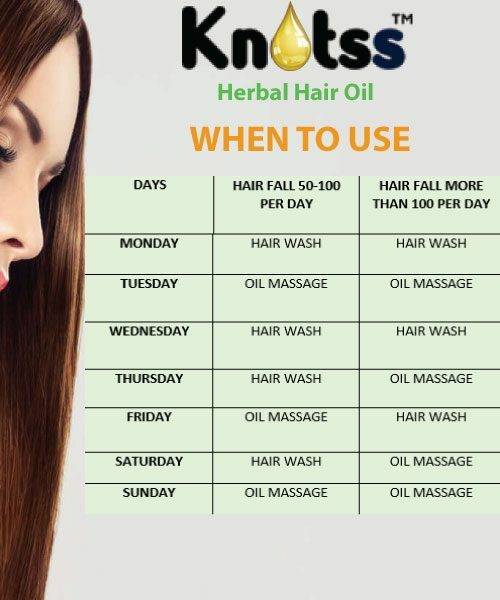 Knotss – The Completes Herbal Hair Oil is an Ayurvedic herbal medicinal hair oil that has been developed as per ancient research & studies according to the holy Ayurvedic books. 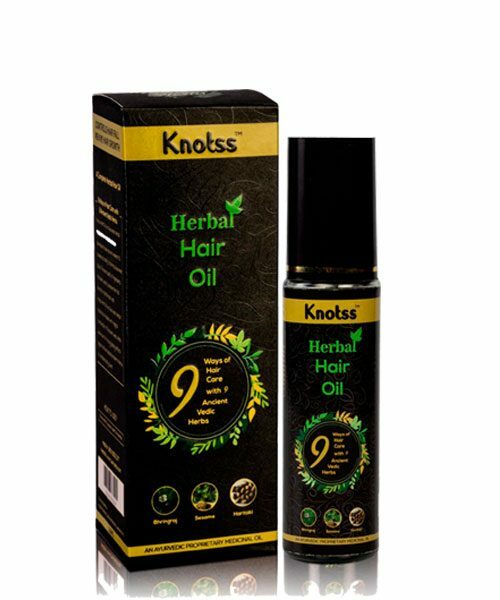 TabletShablet proudly introduces Knotss, a magical herbal oil for hair care which stops hair loss and also helps in hair re-growth resulting in denser, shinier fabulous hair. Knotss: The complete Ayurvedic herbal hair oil that has been developed as per ancient research & studies according to the holy Ayurvedic books. The best quality of 9 pure magical herbal ingredients has been used to prepare Knotss. 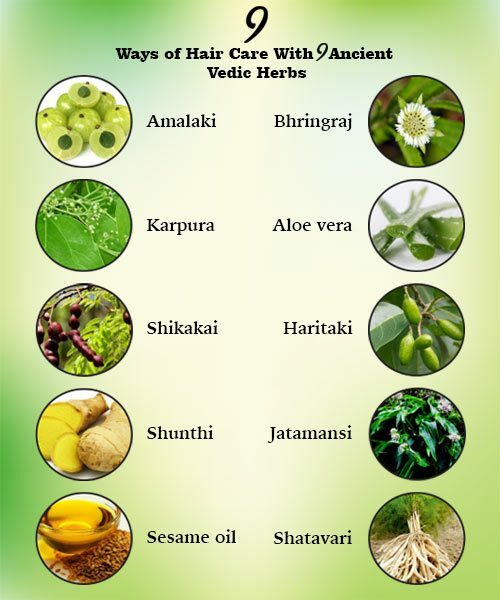 Knotss: the complete Ayurvedic herbal medicinal hair oil that has been developed as per ancient research according to Charaksamhita. The best quality of ingredients has been used to prepare the final blends of Knotss by the best method to prepare a Vedic hair oil. Knotss- has been developed that can take care of almost all the hair related issues. 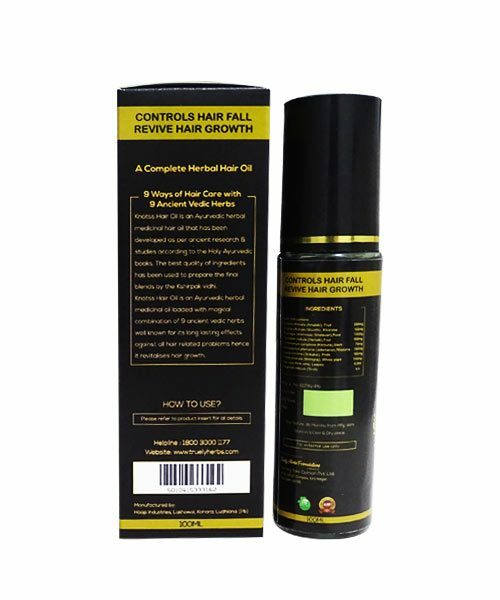 It stops hair fall within a fortnight & starts working to regrow the new hairs i.e. regrowth of hairs. Knotss Herbal Hair Oil is a magical combination of NINE ancient Vedic herbs, that collectively do wonders to your dry & damaged hairs. Knotss have an instant effect in controlling hair fall right from day 15. Helpful in preventing baldness, promotes new hair growth. It provides strength to hair roots. Rich source of amino acids and proteins. It cleans our mane and provides smoothness to it. Complete Nutrition for hair. Provides long, thick & shiny hair. Acts against bacterial & fungal infection. Helpful in curing flaky scalp. 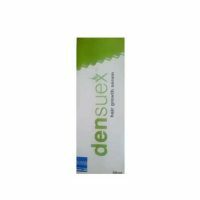 Helpful in relieving stress and anxiety hence provide comfortable sleep. Highly rich in vitamin-C, Good conditioner, Controls Premature Greying, Hair Fall & Dandruff. Increases blood circulation of scalp skin after a massage helps in regrowth of hair. It is like a multivitamin, rich in Vit. A, C, K, D & antioxidants. It nourishes hair. Full of minerals like magnesium, phosphorous, potassium, vitamins. Acts as hair conditioner, provide soft and shiny Hair. A gentle massage with Knotss over scalp for 10-15 minutes with fingertips increases the blood circulation beneath hair roots, hence allow the essential nutrients to penetrate the scalp, and accelerate hair growth. After regular use of Knotss you could become a proud owner of dense, beautiful healthy hairs that certainly makes the heads turn. Knotss- is non-sticky with natural greenish color & the sober fragrance, acceptable for all ages. 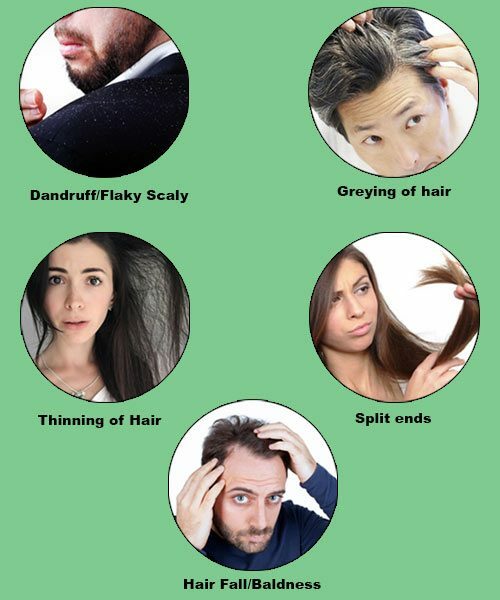 For Dense, Shiny, Beautiful Hair follow the following steps. Remove the upper cap with a golden ring from the Knotss bottle. Knotss bottle is provided with a special pump to take out the required quantity of oil. Directly pour oil over the scalp or effective area by pumping out the required quantity. Massage gently for 10-15 minutes & leave it for 3-4 hrs/overnight. Wash hairs with Mild hair cleanser. I am using Knotss since last few days and it has reduced my problem of Hair fall, looking for more benefits in coming days after a regular use. I used Knotss herbal hair oil and it’s really worked for me… control my hair fall… Easy to purchase and hassle free delivery. Amazing, Knotss herbal hair oil is acceptable to all ages without any side effects. I’m glad to chosen Knotss. I apply it before going to bed in the night. It is a bit sticky but doing the job perfectly. The smell is also not that great. But no worries, you want it to get the work done. It will help the hair follicle to regrow and give enough strength to the root. Very useful as it has Ayurvedic contents helpful for hair growth. It works like a charm. My hair fall reduced and hair looks thicker now. Seller should look into the pricing as I feel it’s overly priced. Highly recommended. Best Herbal Hair Oil in market. So can I use this product and how can use…. Yes you can use it. eels very light and comes with very nice mild fragrance.it contains bhringaraj which smoothens your hair .A must have product for my family .it nourishes my hair so well and reduces hair fall .Loved it . I also use it for my hair spa treatment in place of protein cream. Highly recommended for those suffering from hair fall. This product works like miracle. It’s not too good of you have major hairfal. I suggest to go doctor if you have major hairfal if you wants to use in general this product is ok. 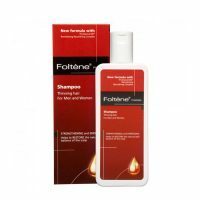 I am using this oil since last 1 and half months, i found it better than many branded hair oil in this market, it is so light and good i thought its going to be my last search for hair care.